We've recently updated the Fathom analysis tools to improve performance and provide you with a fresh new interface to make way for the next generation of Fathom. While this update focused mainly on performance and aesthetics, we took the opportunity to add a few enhancements along the way, which we think you'll enjoy. 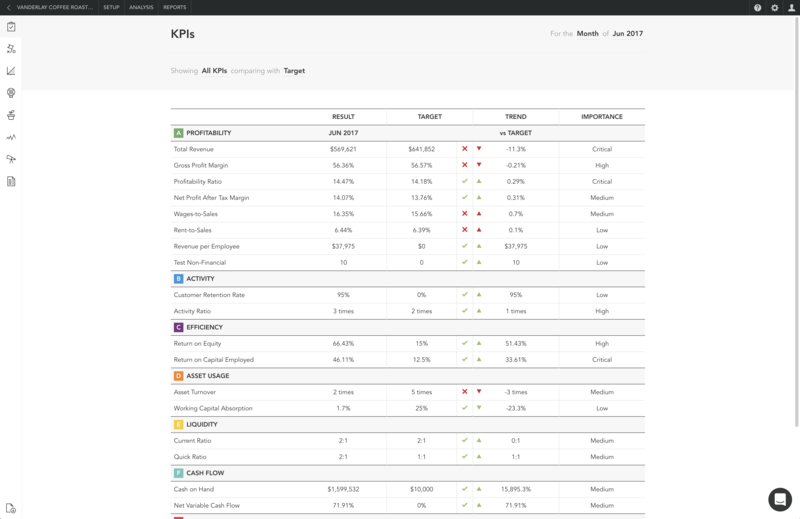 You can now filter the KPIs based on whether they are on track or off track. KPIs with no result are included in the 'off track' group. Column selection has been expanded. In addition to the variance, you can now show the actual results for prior periods and the same period last year. The trend tool has had a significant upgrade in functionality. 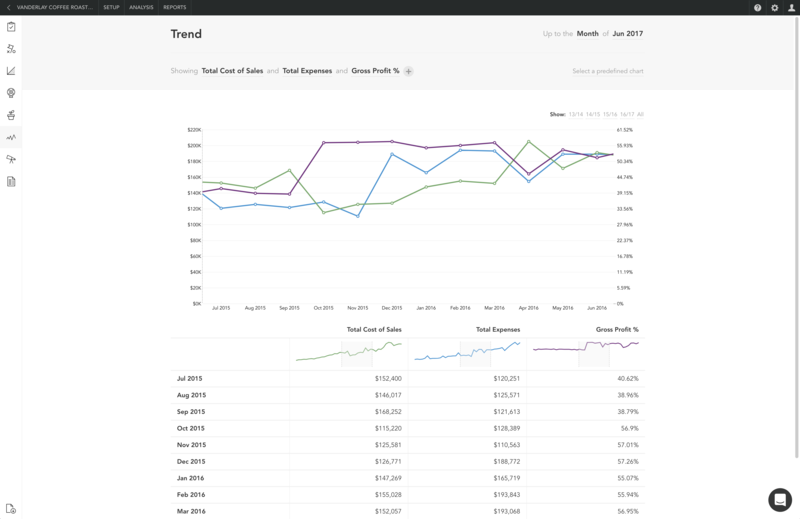 You can now choose any variable (including from the source chart of accounts) to trend. 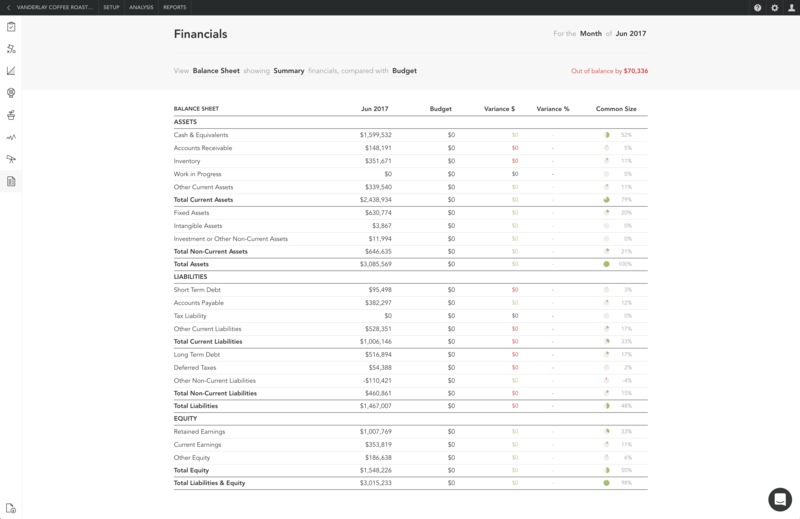 You can display budget (or target) as a comparative for any variable. You can display rolling average as a comparative for any variable. The Financials analysis tool enables you to view the detailed Chart of Accounts, in addition to the summary level accounts. In addition to the summary view, you'll now be able to view detailed financial statements displaying the combined chart of accounts for the group. You'll also have the ability to drill into any line item to view a breakdown of underlying company results. You can now make any quarter or year a 'partial period'. This aligns with our reporting and gives you more flexibility in your financial analysis, by giving you the ability to define the ending month for quarter-to-date and year-to-date periods. The sidebar can be 'pinned' so that it remains open, if you prefer. The download PDF icon has also been moved to the bottom of the sidebar so it's consistent with Fathom's reporting. A full-screen view is now easily accessible from the sidebar. This presentation mode is great for management meetings with your clients. We hope you enjoy the new look Analysis tools in Fathom.